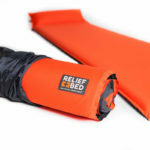 Buy a bed, sleep well, make a difference. 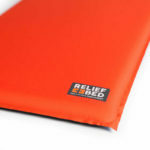 A Relief Kit™ will be donated with every purchase of a Relief Bed. *Important note: Please make sure to fill in the “Organization Name” field on the checkout page so we know where to send the Relief Kit™. Ample surface area accommodates even tall sleepers. 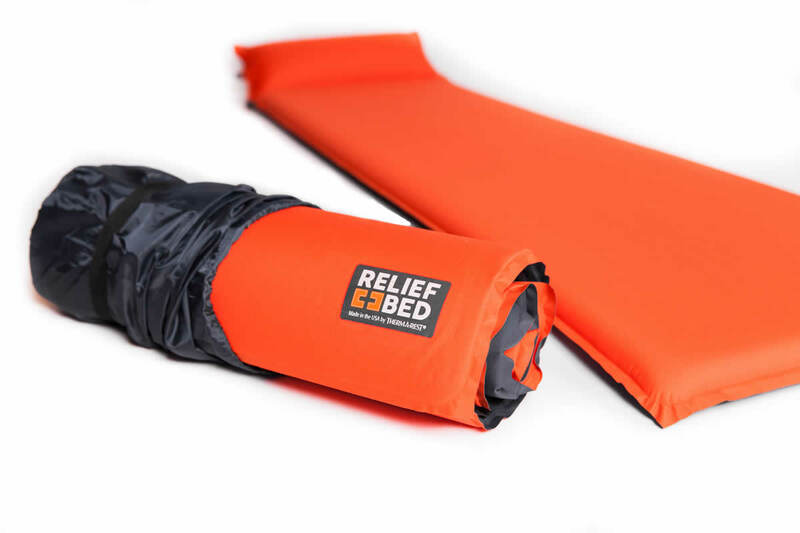 When inflated, each Relief Bed is 20″ wide, 72″ long, and 2″ thick. 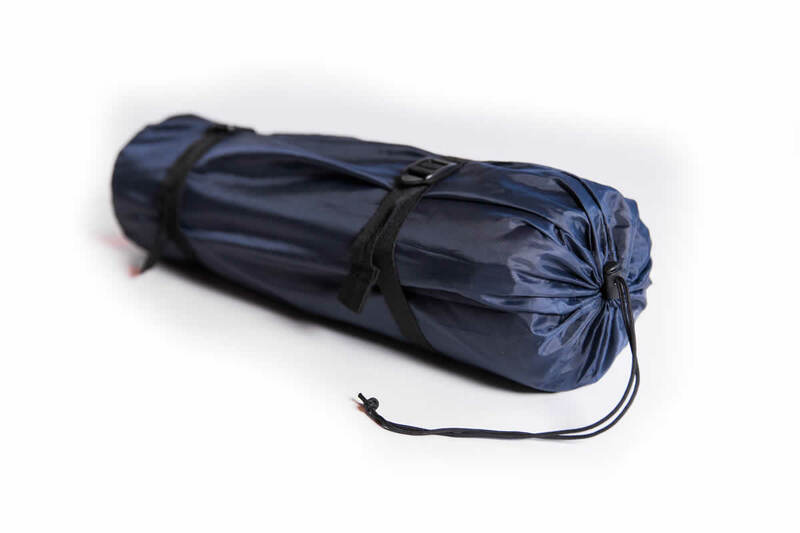 High strength, durable, and hydrophobic polyester. UV resistant and easy to clean. Dual release valves allow independent adjustment of the pillow and mattress for maximum comfort. 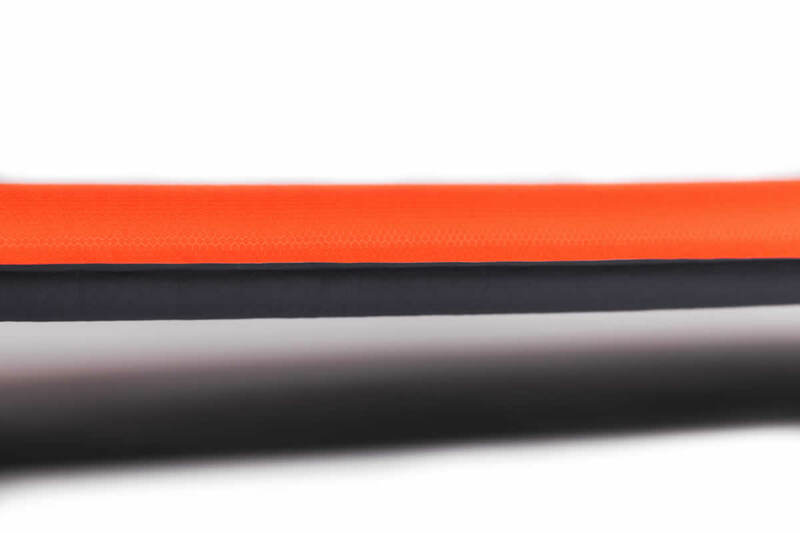 Proprietary adjustable air/foam technology. 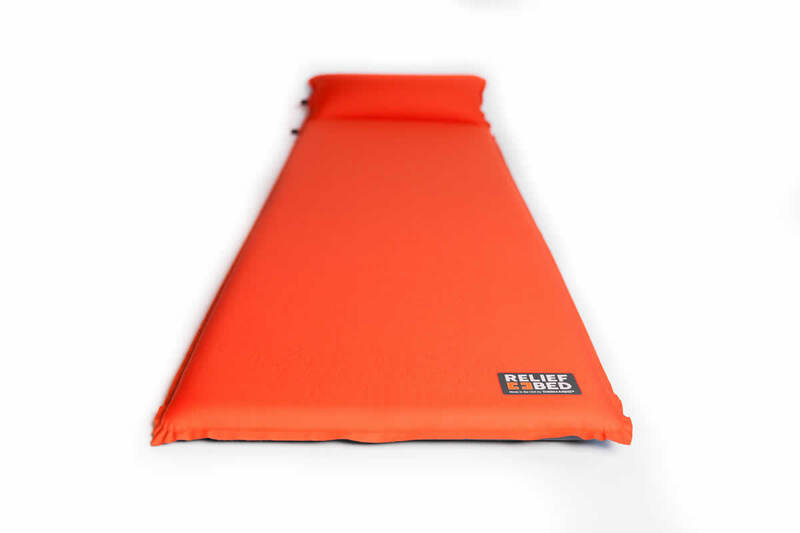 The unique air/foam combination supports all body types comfortably. 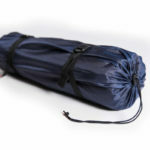 Each bed can be deflated, rolled, and compacted for easy transport. 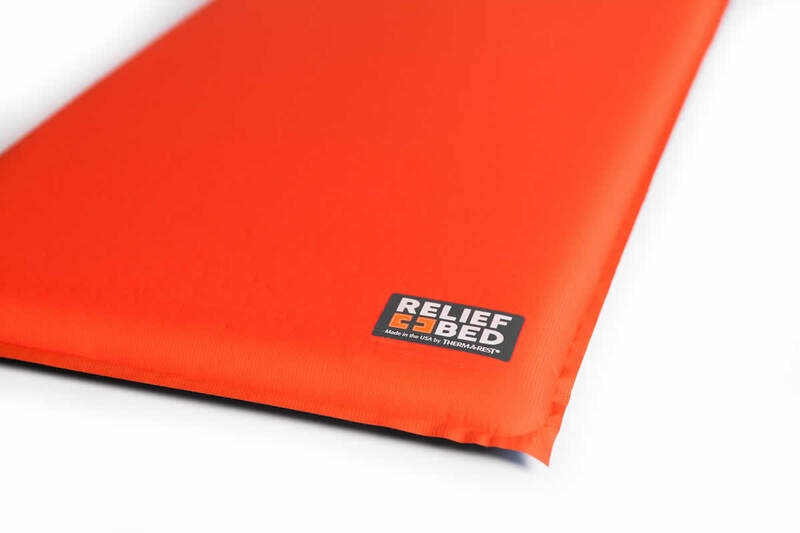 When rolled, the Relief Bed measures 7″ in diameter and 20″ long. Revolutionary, integrated head rest. 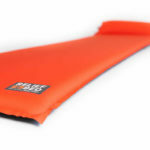 Supports head, neck, and shoulders according to desired firmness. Total firmness adjustability allows sleepers to choose their perfect sleep scenario. Add or release air from the bed and pillow, close the valves, and get some rest. 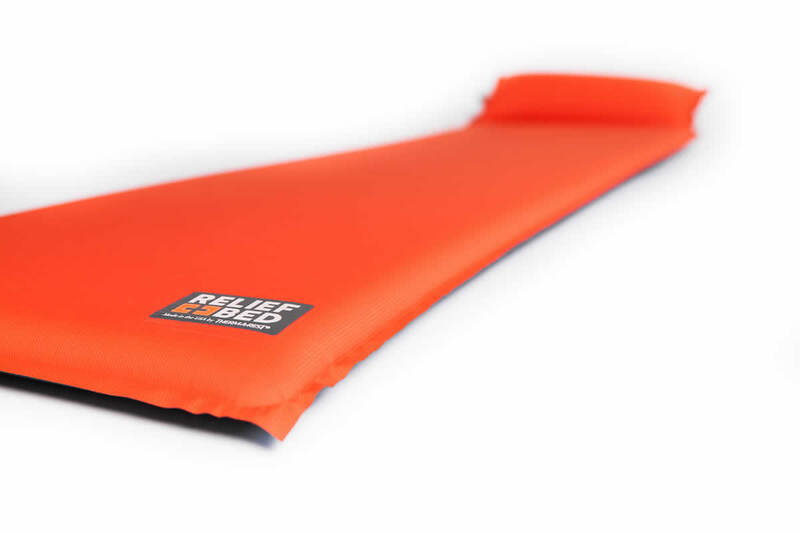 2″ inflated bed thickness for industry-leading comfort and support. The interior foam self-inflates when each valve is released. Add air to desired firmness, close valves, sleep tight. Created in partnership with Thermarest®, the world renown outdoor products manufacturer with over 40 years of experience. Each bed is 20″ wide, 72″ long, and 2″ thick.